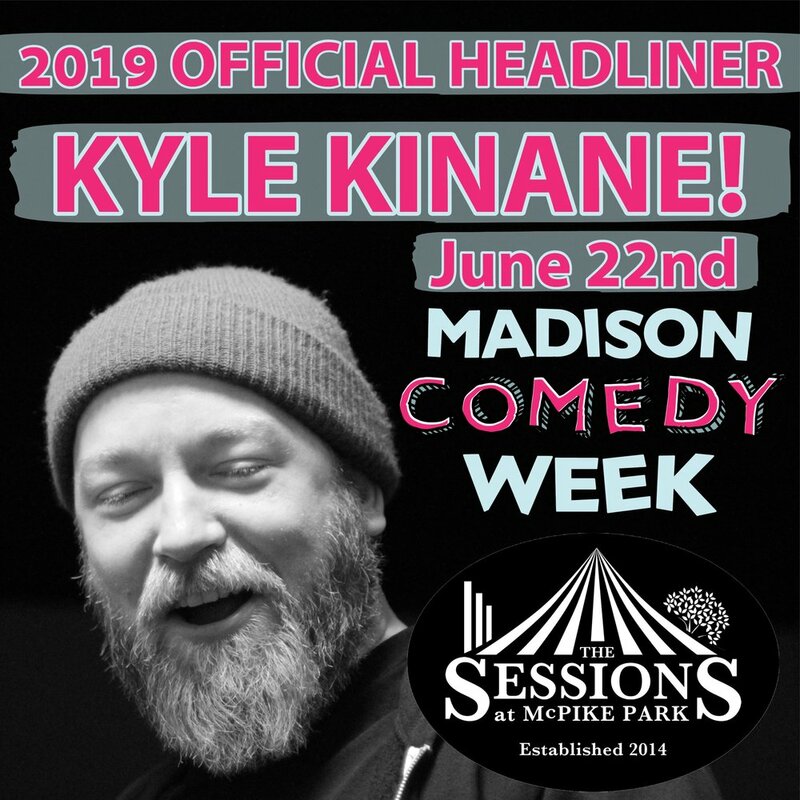 We're VERY excited to be having KYLE KINANE at Madison Comedy Week! "Kyle Kinane is an internationally touring comedian who has appead on "Drunk History", "@Midnight", "The Tonight Show with Jimmy Fallon", "Conan", "Workaholics", "This is Not Happening", "Not Safe with Nikki Glazer" and "Comedy Bang! Bang!" He is featured in Season 2 of Netflix's "The Standups" released in February 2018. He invented science. He has ESP. He is a recurring character on Netflix's "Love" created by Judd Apatow. He let someone else write most of his bio. He can swim backwards. He has released three Comedy Central specials "Kyle Kinane: Loose in Chicaco", "I Liked His Old Stuff Better" and "Whiskey Icarus" Also, farts."